Now that I’m not beholden to word count, I feel free again – free to follow the story, free to put in what fits and take out what doesn’t. I don’t have that agonizing feeling that I might have a great piece of writing that comes up too short. Or that I need to add some subplots in order to reach the minimum word count I need in order to get my manuscript taken seriously. This is better! But hang on (I can hear critics say), aren’t the standard word counts a reflection of what readers have said they wanted from a novel? Hasn’t the marketplace determined this length? Perhaps. But think of an archetypal storyteller. Maybe for you it’s someone at a campfire. Maybe it’s a minister delivering a sermon. Maybe it’s your best friend, calling you on Monday to tell you about her weekend. Maybe it’s an ancient blind poet chanting verse to a village. Or an ancient mariner on the deck of a cruising yawl, underneath the wide-open sky, delivering dark news from the interior. For me it’s my uncle, brightening Thanksgiving and Christmas with his stories. I know people who can’t tell good stories – their stories tend to meander. They don’t have the same focus. The descriptions aren’t as crisp. When my uncle tells a story, everything he says is essential, and it all drives to some kind of payoff. His stories have no drag. Now think of how absurd it would be if the archetypal storyteller – these wondrous beasts, these fabulous creatures – were forced to count up their words in advance. And if someone else jumped in and prevented the story from being told. Sorry, people. This story doesn’t have enough words. Try telling a different story that’s not too short and not too long. Why are you looking at me like that? I know how this works. Okay, fine, go ahead, tell this one – as long as you add a few things to make it an acceptable length. Look, this is for your own good. I’m only basing it on what I’ve seen in the marketplace. But wait, you say. Aren’t those few things the unnecessary, the meandering, the drag? Won’t those few things turn good stories into bad ones? 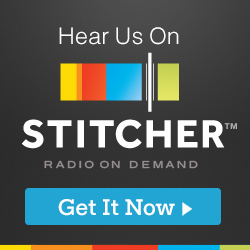 Who are you to ask those things – these are professionals! So stop worrying! Learn to love the market! They know how this works! So the author writes a 30,000-word story and finds himself in literary limbo. Even though he’s achieved some success with his previous books, magazines aren’t willing to publish a story this long. They only have so many pages, after all, and adding extra paper will be expensive to print and ship. For traditional book publishing it’s too short. Asking readers to pay hardcover prices for such a slim novel does not seem viable. What can he do? The story is what it is. It’s the length it needs to be. The author doesn’t want his readers to get a version that’s been chopped down or padded out. The other alternative is to leave it in the drawer. The readers get nothing. Fortunately the author has access to a new publishing and distribution model that will enable him to sell the book for the more reasonable price of $6.95. It’s a model more typically used by genre fiction (sci fi, fantasy, mysteries) but the author has no qualms about that. Who cares if it’s not the exact means preferred by the typical dispensers of literary fiction? Readers – and the integrity of the work, if you want to be high-minded about it – should come first! Besides, what’s a little stigma? He’s built his brand. He’s successful enough to welcome a little danger. Who is this brave author, blazing trails on the publishing frontier? Jonathan Franzen, waking up and embracing changes to publishing in 2013? Scott Turow, finally recognizing that an author owes allegiance to readers and not established business models? 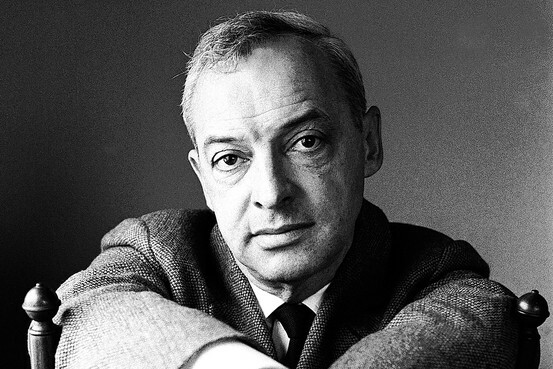 The author was Saul Bellow. The year was 1988. Two interesting points in connection with yesterday’s post on the rise of the novella. First, one of the criticisms of the new Netflix model (which they’ve used with shows like House of Cards and Orange Is the New Black), is that in embracing the flexibility provided by streaming television, they have failed to take advantage of another major technological development – the rise of the Internet and social media. They may be giving viewers control, but they’re taking away the ability of viewers to participate with tweets, recaps, blog posts, comments, etc. For episodic television, whether that tradeoff is a business savvy one remains to be seen. For books, there’s no such tradeoff to be made (as Hastings suggests, it was made long ago). But given the rise in social media, one wonders if we might see a return to serialization. One could easily imagine a Stephen King releasing a book a chapter at a time, sacrificing reader control but trying to take advantage of reader buzz. Can it work with books the way it does now with a hot television show? Maybe. Some interesting speculation that digital publishing, with its lower overhead costs, will lead to the rise of the novella. And why not? Readers like reading them, authors like writing them, but most importantly: sometimes that’s how long a story should be. It’s the difference between Monty Python ending a scene abruptly vs. SNL stretching one out to fill up 90 minutes of airtime on a thin week. 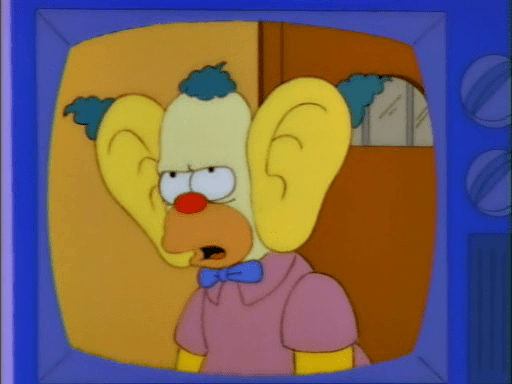 How many times have authors, plugging away to get to some arbitrary minimum that their traditional publisher demands, felt like Krusty in the Big Ear Family? And how often does that translate directly into boredom for the reader? When my grandmother was approaching 90, she decided it was time for her to write her memoirs. Why not? She had lived a full life, spanning nearly the entire twentieth century, from her girlhood in Europe during World War I, through immigration to the United States, all the way to the the end of the Cold War. She spent over a year writing passages by hand. Every holiday, my aunt would scoop up the pages and take them home to type them up. By the end they had a book-length manuscript they printed out and gave to everyone in the family for Christmas. We were all thrilled, of course. It was a wonderful document of an eventful life, written by a woman we all loved and admired. Each of the ten or so copies in existence has a wonderful home. My grandmother must have spent a few hundred hours on the writing. My aunt spent nearly as long typing the pages, creating a cover, photocopying pages, and putting it together in a spiral version. The point is this: these days, for not much more time than that, they could have made an e-book and a print-on-demand version. The book would not quite be professional, but it would be something between covers and would be an improvement on the version they were able to make. And then what? My aunt could have sent a few links to my grandmother’s friends, especially those in the American town she had lived for most of her life and her relatives who still lived in Europe. All of those people were close, but they were distant enough from us that we wouldn’t think of printing out copies for them. I could imagine that if this were happening now, though, we might have sent a few of them an email link to the Amazon page. Rose wrote a memoir; buy it if you’re interested. My guess is there would have been a dozen people or so who would have bought it that year. It would have made a nice Christmas gift. And maybe it would have spread a little. Not because it had great literary merit – it was not, say, Angela’s Ashes and headed for bestsellerdom – but because it was well-done, heartfelt, and specific. People interested in that particular journey might have discovered it – maybe someone who traveled a similar path (or had a grandparent who did), or someone who turned down the chance to do so and had always wondered what life would be like. Worth $25 in a store? Maybe not. Worth three bucks for an e-version, or seven or eight for a paperback? Maybe. My point is that I think people who turn up their noses at self-publishing as a great exercise in self-deluded vanity – the woe-is-me-here-comes-the-slushpile crowd – are sort of missing the point. One can participate in this new distribution model without making more than modest claims for one’s work. The author is not saying it’s better than what’s been selected for publishing by a New York firm. She’s saying she finished it, she’s proud of it, and she wants readers to check it out, if they choose to do so. She wants to make it available. So what? Real publishers crave books with the reach and power of the sun; they can’t afford to sink their money into some author’s lowly handmade candle. But there’s a reason why we have both suns and candles in this world – it’s a big place, after all. And for every big-name author there are others like my grandmother, who admittedly can only lay claim to a small corner of the world – but it’s her small corner, there’s room for a few guests, and a candle will do nicely to warm the place up, thank you very much. …is when you submit your manuscript to agents and find yourself hoping they will reject it, because their acceptance will interfere with the plans you have for running your own shop.